Looking for something to watch during lunch? Do you have a spare 120 minutes? 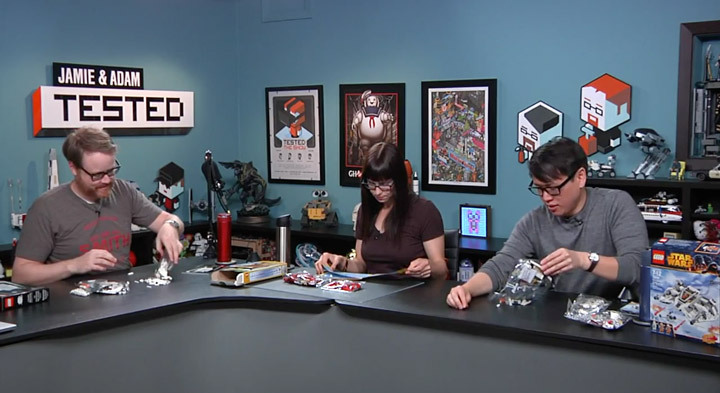 Then check out Tested Lego with Friends: Veronica Belmont. It is a whole 120 minutes of building Lego sets and chatting about stuff. Then if you happen to have even more time on your hands you can sign up for a Tested Membership and watch an additional 4 episodes with Will, Norm, and Veronica. They start off building a verity of smaller sets, but work their way up to Benny’s Spaceship, a Star Wars AT-AT, and the green Lego Mini. Star Wars Celebration Exclusive Lego Set. The Tatooine Mini-Build.